Compass is a great thing. At Flickr, we’re actually quite smitten with it. 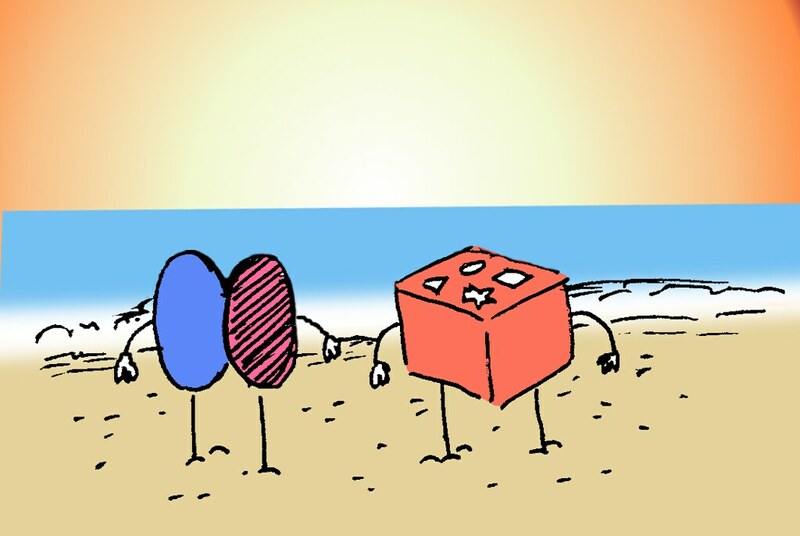 But being conscious of your friends’ friends is important (you never know who they’ll invite to your barbecue), and we’re not so sure about this “Ruby” that Compass is always hanging out with. Then there’s Ruby’s friend Bundler who, every year at the Christmas Party, tells the same stupid story about the time the police confused him with a jewelry thief. Enough is enough! We’ve got history, Compass, but we just feel it might be time to try seeing other people. In order to find a suitable replacement (and for a bit of closure), we had to find out what kept us relying on Compass for so long. We knew the big one coming in to this great experiment: sprites. Flickr is a huge site with many different pages, all of which have their own image folders that need to be sprited together. There are a few different options for compiling sprites on your own, but we liked spritesmith for its multiple image rendering engines. This gives us some flexibility in dependencies. A grunt task is available for spritesmith, but it assumes you are generating only one sprite. Our setup is a bit more complex and we’d like to keep our own sprite mixin intact so we don’t actually have to change a line of code. With spritesmith and our own runner to iterate over our sprite directories, we can easily create the sprites and output the dimensions and urls via a simple Handlebars template to a Sass file. You could easily put all three of these rules in the same declaration, but we have some added flexibility in mind for our mixin. It’s important to note that, because we’re using placeholders (the % syntax in Sass), nothing is actually written out unless we use it. This keeps our compiled CSS nice and clean (just like Compass)! Here, our mixin uses the Sass file we generated to provide powerful and flexible sprites. Note: Although retina isn’t shown here, adding support is as simple as extending the Sass mixin with appropriate media queries. We wanted to keep the example simple for this post, but it gives you an idea of just how extensible this setup is! Now that the big problem is solved, what about the rest of Compass’s functionality? How do we account for the remaining items in the Compass toolbox? First, it’s important to find out just how many mixins, functions, and variables are used. An easy way to find out is to compile with Sass and see how much it complains! Depending on the complexity of your app, you may see quite a lot of these errors. In total, we’re missing 16 mixins provided by Compass (and a host of variables). How do we replace all the great mixin functionality of Compass? With mixins of the same name, node-bourbon is a nice drop-in replacement. What is the point of all this work again? Now that we’re comfortably off Compass, how exactly are we going to compile our Sass? Well try not to blink, because this is the part that makes it all worthwhile. Libsass is a blazing-fast C port of the Sass compiler that exposes bindings to modules like node-sass. Just how fast? With Compass, our compile times were consistently around a minute and a half to two minutes. Taking care of spriting ourselves and using libsass for Sass compilation, we’re down to 5 seconds. When you deploy as often as we do at Flickr (in excess of 10 times a day), that adds up and turns into some huge savings! There isn’t one! Oh, okay. Maybe there are a few little ones. We’re pretty willing to swallow them though. Did you see that compile time?! There are some differences, particularly with the @extend directive, between Ruby Sass and libsass. We’re anticipating that these small kinks will continue to be ironed out as the port matures. Additionally, custom functions aren’t supported yet, so some extensibility is lost in coming from Ruby (although node-sass does have support for the image-url built-in which is the only one we use, anyway). With everything taken into account, we’re counting down the days until we make this dream a reality and turn it on for our production builds. Like what you’ve read and want to make the jump with us? We’re hiring engineers, designers and product managers in our San Francisco office. Find out more at flickr.com/jobs. We recently implemented Redis Sentinel at Flickr to provide automated Redis master failover for an important subsystem and we wanted to share our experience with it. Hopefully, we can provide insight into our experience adopting this relatively new technology and some of the nuances we encountered getting it up and running. Although we try to provide a basic explanation of what Sentinel is and how it works, anyone who is new to Redis or Sentinel should start with the excellent Redis and Sentinel documentation. At Flickr we use an offline task processing system that allows us to execute heavyweight operations asynchronously from our API and web pages. This prevents these operations from making users wait needlessly for pages to render or API methods to return. Our task system handles millions of tasks per day which includes operations like photo uploads, user notifications and metadata edits. In this system, code can push a task onto one of several Redis-backed queues based on priority and operation, then forget about the task. Many of these operations are critical and we need to make sure we process at least 99.9999% of them (less than 1 in 1 million dropped). Additionally, we need to make sure this system is available to insert and process tasks at least 99.995% of the time – no more than about 2 minutes a month downtime. Upon master failure, the recovery plan included several manual steps: reconfiguring code to take the Redis master(s) offline and manually promoting a Redis slave (a mildly time consuming activity). Then we would rebuild and backfill unprocessed data from AOF files and error logs — a very time consuming activity. We knew if we lost a master we would have hours and hours of less-than-satisfying work to run the recovery plan, and there was potential for user impact and even a small amount of data loss. We had never experienced a Redis master failure, but we all know that such events are simply a matter of time. Overall, this fell far short of our durability and availability goals. We started by installing and testing Sentinel in a development environment and the first thing we noticed was how simple Sentinel is to use and how similar the syntax is to Redis. We read Aphyr’s article and his back-and-forth blog duel with Salvatore and verified Aphyr’s warning about the “split brain” scenario. Eventually we decided the benefits outweighed the risks in our specific use case. During testing we learned about some Sentinel nuances and got a better feel for appropriate configuration values, many of which have little or no community guidance yet. One such example was choosing a good value for the level-of-agreement setting, which is the number of Sentinels simultaneously reporting a host outage before automatic failover starts. If this value is too high then you’ll miss real failures and if it’s too low you are more susceptible to false alarms. (*thanks to Aleksey Asiutin(@aasiutin) for the edit!) In the end, we looked at the physical topology of our hosts over rack and switches and chose to run a relatively large number of Sentinel instances to ensure good coverage. Based on tuning in production we chose a value for level-of-agreement equal to about 80% of the Sentinel instances. The down-after-milliseconds configuration setting is the time the Sentinels will wait with no response to their ping requests before declaring a host outage. Sentinels ping the hosts they monitor approximately every second, so by choosing a value of 3,100 we expect Sentinels to miss 3 pings before declaring host outage. Interestingly, because of Sentinel’s ping frequency we found that setting this value to less than 1,000 results in an endless stream of host outage notifications from the Sentinels, so don’t do that. We also added an extra 100 milliseconds (3,100ms rather than 3,000ms) to allow for some variation in Redis response time. We chose a parallel-syncs value of 1. This item dictates the number of slaves that are reconfigured simultaneously after a failover event. If you serve queries from the read-only slaves you’ll want to keep this value low. For an explanation of the other values we refer you to the self-documented default sentinel.conf file. An interesting nuance of Sentinels is that they write state to their configuration file. This presented a challenge for us because it conflicted with our change management procedures. How do we maintain a dependably consistent startup configuration if the Sentinels are modifying the config files at runtime? Our solution was to create two Sentinel config files. One is strictly maintained in Git and not modified by Sentinel. This “permanent” config file is part of our deployment process and is installed whenever we update our Sentinel system configuration (i.e. : “rarely”). We then wrote a startup script that first duplicates the “permanent” config file to a writable “temporary” config file, then starts Sentinel and passes it the “temporary” file via command-line params. Sentinels are allowed to modify the “temporary” files as they please. A common misconception about Sentinel is that it resides in-band between Redis and Redis clients. In fact, Sentinel is out-of-band and is only contacted by your services on startup. Sentinel then publishes notifications when it detects a Redis outage. Your services subscribe to Sentinel, receive the initial Redis host list, and then carry on normal communication directly with the Redis host. The Sentinel command syntax is very similar to Redis command syntax. Since Flickr has been using Redis for a long time the adaptation of pre-existing code was pretty straightforward for us. Code modifications consisted of adding a few Java classes and modifying our configuration syntax. For Java-to-Redis interaction we use Jedis, and for PHP we use Predis and libredis. // Verify that at least one Sentinel instance in the Set is available and responding. 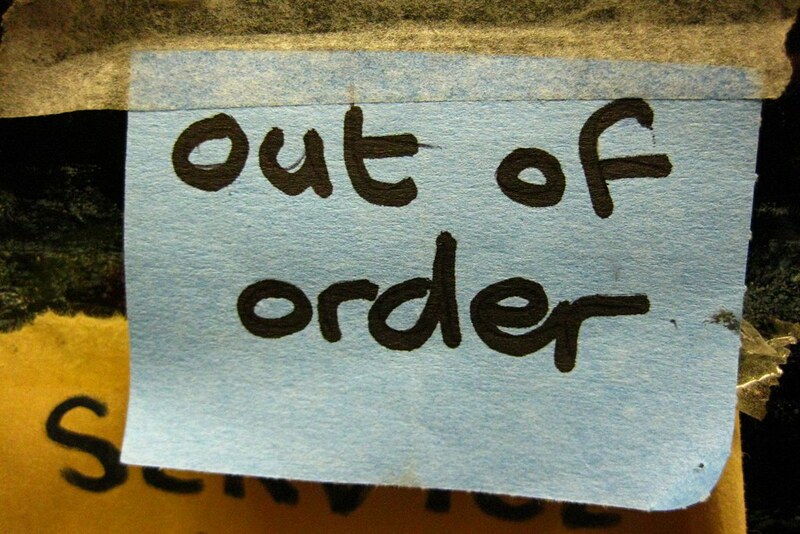 How will the system react to host outages? How long does a failover event last? How much of a threat is the split-brain scenario? How much data loss can we expect from a failover? We commandeered several development machines and installed a few Redis and Sentinel instances. Then we wrote some scripts that insert or remove data from Redis to simulate production usage. We ran a series of tests on this setup, simulating a variety of Redis host failures with some combination of the commands: kill -9, the Sentinel failover command, and Linux iptables. This resulted in “breaking” the system in various ways. For the most part we found Sentinel to behave exactly as expected and described in the Sentinel docs. The Sentinels detect host outages within the configured down-after-milliseconds duration, then send “subjective down” notifications, then send “objective down” notifications if the level-of-agreement threshold is reached. In this environment we were able to quickly and accurately test our response to failover events. We began with small test scripts, but eventually were able to run repeatable integration tests on our production software. Adding Redis to a Maven test phase for automated integration testing is a backlog item that we haven’t implemented yet. The Sentinel test environment was configured with a down-after-milliseconds value of 3,100ms (just like production, see above). With this value Sentinels would produce a host outage notification after approximately 3 unsuccessful pings (one ping per second). In addition to the 3,100ms delay, we found there were 1-3 seconds in overhead for processing the failover event and electing a new Redis master, resulting in 4-6 seconds of total downtime. We are pretty confident we’ll see the same behavior in production (verified — see below). How much of a threat is the “split-brain” scenario? We carefully read Aphyr and Salvatore’s blog articles debating the threat of a “split brain scenario.” To summarize: this is a situation in which network connectivity is split, with some nodes still functioning on one side and other nodes continuing to function independently on the other side. The concern is the potential for the data set to diverge with different data being written to masters on both sides of the partition. This could easily create data that is either impossible or very difficult to reconcile. We recreated this situation and verified that a network partition could create disjoint concurrent data sets. Removing the partition resulted in Sentinel arbitrarily (from our perspective) choosing a new master and losing all data written (post-partitioning) to the other master. So the question is: given our production architecture, what is the probability of this happening and is it acceptable given the significant benefit of automatic failover? We looked at this scenario in detail considering all the potential failure modes in our deployment. Although we believe our production environment is not immune from split-brain, we are pretty sure that the benefits outweigh the risks. How much data loss can we expect from a failover event? After testing we were confident that Redis host outages could produce 4-6 seconds of downtime in this system. Rapid Sentinel automated failover events combined with reasonable backoff and retry techniques in the code logic were expected to further reduce data loss during a failover event. With Sentinel deployed and considering a long history of a highly stable Redis operation, we believed we could achieve 99.995% or more production availability – a few minutes of downtime per year. So how has Sentinel performed in production? Mostly it has been silent, which is a good thing. A month after finishing our deployment we had a hardware failure in a network switch that had some of our Redis masters behind it. Instead of having a potential scenario involving tens of minutes of user impact with human-in-the-loop actions to restore service, automatic failover allowed us to limit impact to just seconds with no human intervention. Due to the quick master failover and other reliability features in the code, only 270 tasks failed to insert due to the outage — all of which were captured by logging. Based on the volume of tasks in the system, this met our 99.9999% task durability goal. We did however decide to re-run a couple tasks manually and for certain critical and low-volume tasks we’re looking at providing even more reliability. One more note from production experience. We occasionally see Sentinels reporting false “subjective down” events. Our Sentinel instances cohabitate host machines with other services. Occasionally these hosts get busy and we suspect these occasional load spikes affect the Sentinels’ ability to send and receive ping requests. But because our level-of-agreement is high, these false alarms do not trigger objective down events and are relatively harmless. If you’re deploying Sentinel on hosts that share other workloads, make sure that you consider potential impact of load patterns on those hosts and make sure you take some time to tune your level-of-agreement. We have been very happy with Sentinel’s ease of use, relatively simple learning curve and brilliant production execution. So far the Redis/Sentinel combination is working great for us. 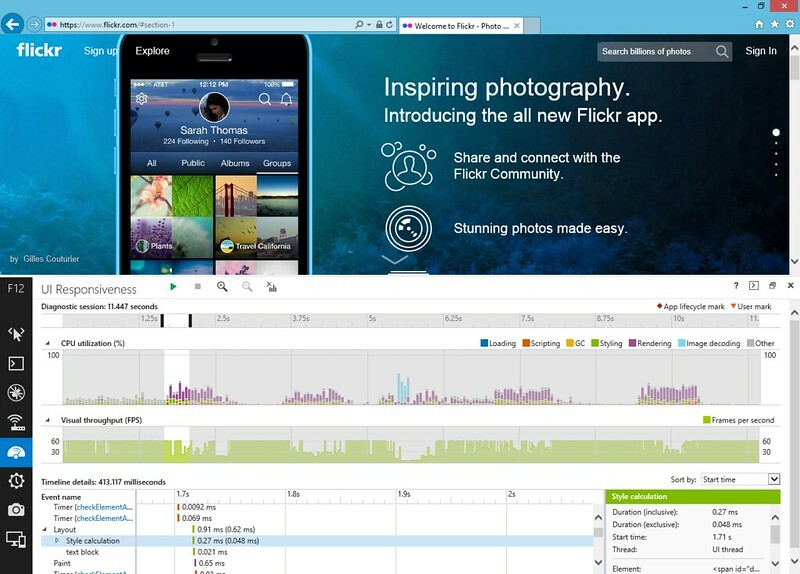 Recently, the team at Flickr has been working to improve photo search. Before our work began, Flickr only knew about photo metadata — information about the photo included in camera-generated EXIF data, plus any labels the photo owner added manually like tags, titles, and descriptions. Ironically, Flickr has never before been able to “see” what’s in the photograph itself. Over time, many of us have started taking more photos, and it has become routine — especially with the launch last year of our free terabyte* — for users to have many un-curated photos with little or no metadata. This has made it difficult in some cases to find photos, either your own or from others. Slides available here: Flickr: Computer vision at scale with Hadoop and Storm. Thanks very much to Amit Nithian and Krista Wiederhold (organizers of the SFHUG meetup) for giving us a chance to share our work. * Today is the first anniversary of the terabyte! ** Your photos are processed by computers – no humans look at them. The automatic tagging data is also protected by your privacy settings. We want communication with Flickr to be secure, all the time. So, we are tightening things up. Effective this week, all new API keys will work via HTTPS only. On June 27th, we will deprecate non-SSL access to the API. If you haven’t already made the change to HTTPS, now is the time! In preparation for the June 27th cut-off date, we will run two “blackout” tests, each for 2 hours, so that you can ensure that API calls in your app no longer use HTTP. If you have changed your code to use HTTPS, your app should function normally during the blackout window. If you have not changed your code to use HTTPS, then during the 2-hr blackout window all API calls from your application will fail. The API will return a 403 status code for non-SSL requests. In the API documentation, all of the endpoints have been updated to HTTPS. While OAuth adds security by removing the need to authenticate by username and password, sending all traffic over SSL further protects our users’ data while in transit. For applications that use well-established HTTP client libraries, this switch should only require updating the protocol and (maybe) some updated configuration. We realize that this change might be more difficult for some. We will follow the Developer Support Group closely, so please let us hear your questions. We will respond to them there, and will collect questions of general interest in the below FAQ. Question: I only have a Flickr API key because I use an application or plugin that calls the Flickr API. Will that application or plugin continue to work after June 27th? Do I need to do something? Answer: An application or plugin that calls the Flickr API will stop working on June 27th if its owner does not make the changes we’ve described above. There are many, many providers of such services and plugins. We have notified them about this transition via email, blog post, developer lists, and on Twitter. As a user of such a service or plugin, you have no action to do for the transition unless the application or plugin owner asks you to upgrade to a new version. You also have the option to reach out to the application or plugin owner to assure yourself of their plans to handle this transition. Question: Are all http://www.flickr.com urls going to be HTTPS from now on? Answer: Yes, all http://www.flickr.com urls returned by the API are now HTTPS, and all requests to HTTP in the browser are redirected to HTTPS. Question: Should I switch my code to HTTPS right away or should I wait a bit? Answer: Switch now. The important thing is for your app to be changed to HTTPS before the first blackout on 3 June 2014. In fact, if your app is a mobile app, the earlier the better, so that your users will be more likely to upgrade before the first blackout. Question: Do I need a new API key to replace my old one for this transition? Question: What do I do with the new API key that is being issued by Flickr as of May 6? Answer: We are not automatically issuing a new key to you. What happened on 6 May was a change to how we handle new API keys. From now on, if you submit a request for a new key, that new key will only support calls to the Flickr API over HTTPS; it will not support calls to the API over HTTP. You do not need to request a new API key for this transition. Question: I received your email about the API going SSL-only on June 27th. Do I need to do something? Question: If I use a protocol-less call to the API or match the protocol of the page that is making the call, do I need to change anything? Answer: Yes, you should change your calls to specifically use HTTPS. During the blackout period and starting on June 27th, protocol-less calls to the Flickr API from non-SSL pages will fail. Question: Will the old https://secure.flickr.com endpoints continue to be supported in addition to the new https://api.flickr.com endpoints, or will only the latter be supported? Answer: Yes, https://secure.flickr.com endpoints will still be supported. If you use that today, your application will continue to work during the blackout windows and after 27 June. 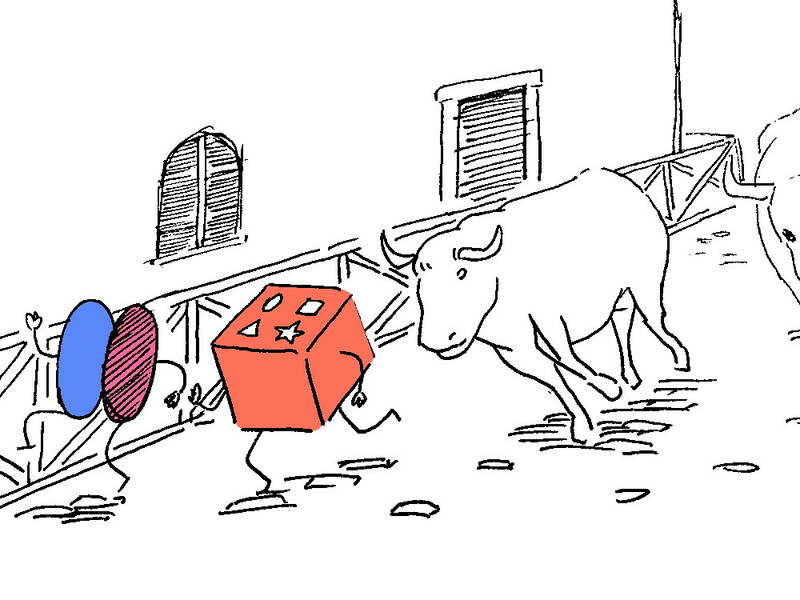 Sometime in the last few months, we went and updated our API SSL endpoints. Shame on us for not making a bigger deal about it! In the past, to access the Flickr API via SSL you needed to use the “secure.flickr.com” subdomain… Not anymore! In fact, it’s so easy that we want everyone to use it. You’ll notice in the API documentation that all of the endpoints have been updated to https. While OAuth adds security by removing the need to authenticate by username and password, sending all traffic over SSL will further protect our users’ data while in transit. 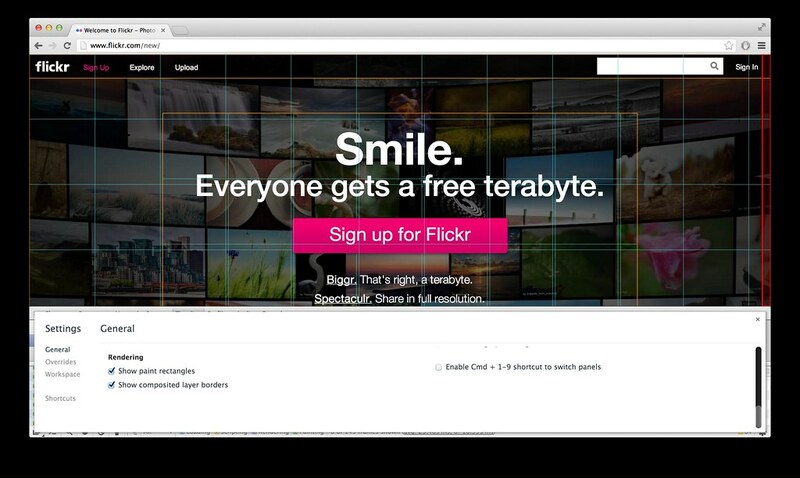 Later this year we will be migrating the Flickr API to SSL access only. We’ll let you know the exact date in advance, and will run a blackout test before the big day. For applications that use well established HTTP client libraries, this should only require updating the protocol and (maybe) some updated configuration. We’ll also be working with API kit developers, so updating many apps will be a git pull away. Of course we realize that this change might be more difficult for some. We’ll be following the Developer Support Group closely, so please let us hear your questions, comments, and concerns. This is the first step of many improvements that we’ll be making to the API and our developer tools this year, and we’ll post additional details and timelines as we go. Want to help? We’re hiring! This summer I had the unforgettable opportunity to work side-by-side with the some of the smartest, photography-loving software engineers I’ve ever met. Looking back on my first day at Flickr HQ – beginning with a harmonious welcome during Flickr Engineering’s weekly meeting – I can confidently say that over the past ten weeks I have become a much better software engineer. One of my projects for the summer was to build a new and improved locking manager that controls the distribution of locks for offline tasks (or OLTs for short). Flickr uses OLTs all the time for data migration, uploading photos, updates to accounts, and more. An OLT needs to acquire a lock on a shared resource, such as a group or an account, to prevent other OLTs from accessing the same resource at the same time. The OLT will then release the lock when it’s done modifying the shared data. 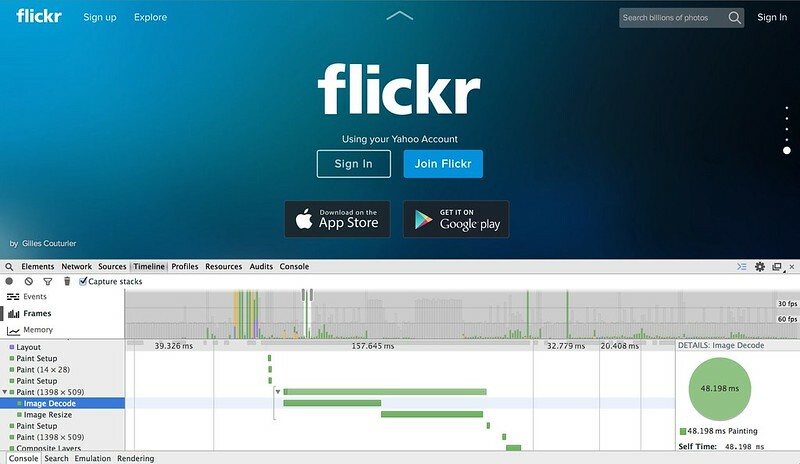 Myles wrote an excellent blog post on how Flickr uses offline tasks here. When building a distributed lock system, we need to take into account a couple of important details. First, we need to make sure that all the lock servers are consistent. One way to maintain consistency is to elect one server to act as a master and the remaining servers as slaves, where the master server is responsible for data replication among the slave servers. Second, we need to account for network and hardware failures – for instance, if the master server goes down for some reason, we need to quickly elect a new master server from one of the slave servers. The good news is, Apache ZooKeeper is an open-source implementation of master-slave data replication, automatic leader election, and atomic distributed data reads and writes. Offline tasks send lock acquire and release requests through ZooLocker. ZooLocker in turn interfaces with the ZooKeeper cluster to create and delete znodes that correspond to the individual locks. In the new locking system (dubbed “ZooLocker”), each lock is stored as a unique data node (or znode) on the ZooKeeper servers. When a client acquires a lock, ZooLocker creates a znode that corresponds to the lock. If the znode already exists, ZooLocker will tell the client that the lock is currently in use. When a client releases the lock, ZooLocker deletes the corresponding znode from memory. ZooLocker stores helpful debugging information, such as the owner of the lock, the host it was created on, and the maximum amount of time to hold on to the lock, in a JSON-serialized format in the znode. ZooLocker also periodically scans through each znode in the ZooKeeper ensemble to release locks that are past their expiration time. My locking manager is already serving locks in production. In spite of sudden spikes in lock acquire and release requests by clients, the system holds up pretty well. 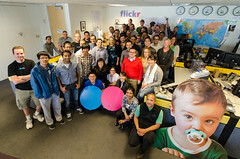 My summer internship at Flickr has been an incredibly valuable experience for me. I have demystified the process of writing, testing, and integrating code into a running system that millions of people around the world use each and every day. I have also learned about the amazing work going on in the engineering team, the ups and downs the code deploy process, and how to dodge the incoming flying finger rockets that the Flickr team members fling at each other. My internship at Flickr is an experience I will never forget, and I am very grateful to the entire Flickr team for giving me the opportunity to work and learn from them this summer. On May 20th, we introduced our Justified layout to the Photostream page. Ever since launch, we’ve been working hard to improve the performance of this page, and this week we’ve deployed a change that dramatically reduces the time it takes to display photos. The secret? Cookies. Because we need the viewport width, we have to run this algorithm entirely in the browser. And because we won’t know which particular photo size to request until we’ve run the algorithm, we can’t start downloading the photos until very late in the process. This is why, up until Friday, when you loaded a photostream page, you saw the spinning blue and pink balls before the photos loaded. Last week we were able to make one key change: we now pre-generate the layout on the server. This means that we know exactly which image sizes we need at the very top of the page, and can start downloading them immediately. It also means the spinning balls aren’t needed anymore. The end result is that the first photo on the page now loads seven times faster than on May 20th. One question remains: we need client viewport width in order to generate the layout, so how are we able to pre-generate it on the server? The first time you come to any Flickr page, we store the width of your browser window in a cookie. We can then read that cookie on the server on subsequent page loads. This means we aren’t able to pre-generate the photostream layout the very first time you come to the site. It also means that the layout will occasionally be incorrect, if you have resized the browser window since the last time you visited Flickr; we deal with this by always correcting the layout on the client, if a mismatch is detected. This is one of many performance improvements we’re working on after our 5/20 release (we’ve also deployed some improvements to the homepage activity feed). Expect to see the performance continue to improve on the redesigned pages in the coming weeks and months. tl;dr version: transform3d() is your friend, but use sparingly. Chrome Dev Tools are awesome. Back in 1985, games like Super Mario Bros. popularized the effect of horizontal parallax scrolling – a technique wherein the background moves at a slower speed relative to the foreground, giving the impression of depth. In 2013, the web is seeing a trend of vertical parallax effects as developers look to make pages feel more interactive and responsive. Your author’s $0.25, for the record, is that we’ll continue to see arcade and demoscene-era effects being ported over to the mainstream web in creative ways as client-side performance improves. While the effect can be aesthetically pleasing when executed correctly, parallax motion tends to be expensive to render – and when performance is lacking, the user’s impression of your site may follow suit. Vertical parallaxing is pretty straightforward in behaviour: For every Y pixels of vertical axis scrolling, move an absolutely-positioned image in the same direction at scale. There are some additional considerations for the offset of the element on the page and how far it can move, but the implementation remains quite simple. The following are some findings made while working on Flickr’s redesigned signed-out homepage at flickr.com/new/, specifically related to rendering and scrolling performance. A typical parallax implementation will hook into window.onscroll(), and will update the backgroundPosition or marginTop of an element with a background image attached in order to make it move. An <img> could be used here, but backgrounds are convenient because they allow for positioning in relative units, tiling and so on. This could work for a single element, but quickly breaks down if multiple elements are to be updated. In any case, references to the DOM should be cached for faster look-ups; reading window.scrollY and other DOM attributes can be expensive due to potential to cause layout/reflow themselves, and thus should also be stored in a local variable for each onscroll() event to minimize thrashing. An additional performance consideration: Should all parallax elements always be moved, even those which are outside of the viewport? Quick tests suggested savings were negligible in this case at best. Even if the additional work to determine in-view elements were free, moving only one element did not notably improve performance relative to moving only three at a time. It appears that Webkit’s rendering engine is smart about this, as the only expensive operations seen here involve painting things within the viewport. In any event, using marginTop or backgroundPosition alone will not perform well as neither take advantage of hardware-accelerated compositing. Look at that: Terrible. Jank city! You can try it for yourself in your browser of choice, via via ?notransform=1. Despite caching our DOM references and scroll properties, the cost of drawing all these pixels in software is very high. The trick to performance here is to have the GPU (hardware) take on the job of accelerating the compositing of the expensive bits, which can be done much faster than in software rendering. Elements can be promoted to a “layer” in rendering terms, via CSS transforms like translate3d(). When this and other translateZ()-style properties are applied, the element will then be composited by the GPU, avoiding expensive repaints. In this case, we are interested in having fast-moving parallax backgrounds. Thus, translate3d() can be applied directly to the parallax element. // note: most browsers presently use prefixes: webkitTransform, mozTransform etc. 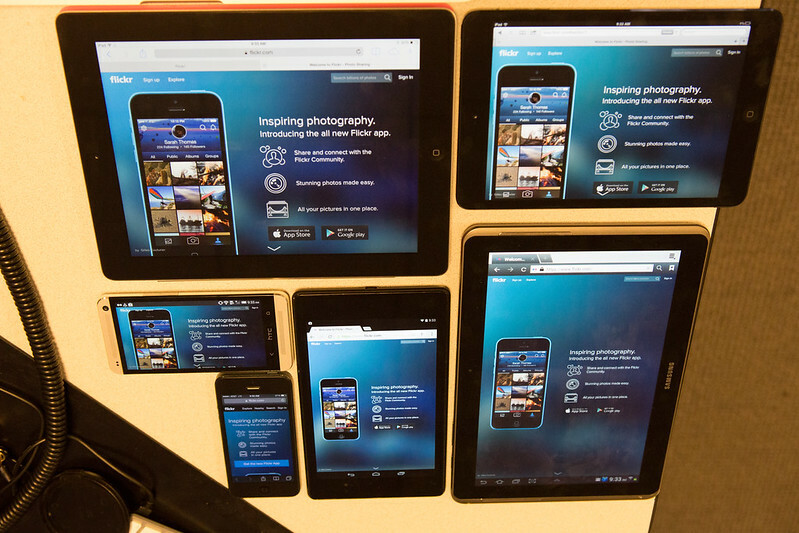 In webkit-based browsers like Safari and Chrome, the results speak for themselves. GPU acceleration sounds like a magic bullet, but it comes at the cost of both video memory and cache. If you create too many layers, you may see rendering problems and even degraded performance – so use them selectively. It’s also worth noting that browser-based hardware acceleration and performance rests on having agreement between the browser, drivers, OS, and hardware. Firefox might be sluggish on one machine, and butter-smooth on another. High-density vs. standard-resolution screens make a big difference in paint cost. All GPUs are made equal, but some GPUs are made more equal than others. The videos and screenshots for this post were made on my work laptop, which may perform quite differently than your hardware. Ultimately, you need to test your work on a variety of devices to see what real-world performance is like – and this is where Chrome’s dev tools come in handy. In brief, Chrome’s Developer Tools are awesome. Chrome Canary typically has the freshest features in regards to profiling, and Safari also has many of the same. The features most of interest to this entry are the Timeline → Frames view, and the gear icon’s “Show Paint rectangles” and “Show composited layer borders” options. Timeline → Frames view: Helpful in identifying expensive painting operations. Paint rectangles + composited layer borders, AKA “Plaid mode.” Visually identify layers. Timeline’s “Frames” view allows you to see how much time is spent calculating and drawing each frame during runtime, which gives a good idea of rendering performance. To maintain a refresh rate of 60 frames per second, each frame must take no longer than 16 milliseconds to draw. If you have JS doing expensive things during scroll events, this can be particularly challenging. Expensive frames in Flickr’s case stem primarily from occasional decoding of JPEGs and non-cached image resizes, and more frequently, compositing and painting. The less of each that your page requires, the better. It is interesting to see what content is being painted (and re-painted) by the browser, particularly during scroll events. Enabling paint rectangles in Chrome’s dev tools results in red highlights on paint areas. In the ideal case when scrolling, you should see red only around the scrollbar area; in the best scenario, the browser is able to efficiently move the rest of the HTML content in hardware-accelerated fashion, effectively sliding it vertically on the screen without having to perform expensive paint operations. Script-based DOM updates, CSS :hover and transition effects can all cause painting to happen when scrolling, so keep these things in mind as well. As mentioned previously, layers are elements that have been promoted and are to be composited by the GPU, via CSS properties like translate3d(), translateZ() and so on. With layer borders enabled, you can get a visual representation of promoted elements and review whether your CSS is too broad or too specific in creating these layers. The browser itself may also create additional layers based on a number of scenarios such as the presence of child elements, siblings, or elements that overlap an existing layer. Composited borders are shown in brown. Cyan borders indicate a tile, which combines with other tiles to form a larger composited layer. When using parallax effects, “full-bleed” images that cover the entire page width are also popular. One approach is to simply use a large centered background image for all clients, regardless of screen size; alternately, a responsive @media query-style approach can be taken where separate images are cut to fit within common screen widths like 1024, 1280, 1600, 2048 etc. In some cases, however, the single-size approach can work quite nicely. In the case of the Flickr homepage, the performance cost in using 2048-pixel-wide background images for all screens seemed to be negligible – even in spite of “wasted” pixels for those browsing at 1024×768. The approach we took uses clip-friendly content, typically a centered “hero” element with shading and color that extends to the far edges. Using this approach, the images are quite width-agnostic. The hero-style images also compress quite nicely as JPEGs thanks to their soft gradients and lighting; as one example, we got a 2048×950-pixel image of a flower down to 68 KB with little effort. Bandwidth aside, the 2048-pixel-wide images clip nicely on screens down to 1024 pixels in width and with no obvious flaws. However, Chrome’s dev tools also show that there are costs associated with decoding, compositing, re-sizing and painting images which should be considered. There are also aspects to RAM and caching that can affect GPU performance. I did not dig deeply into this specifically for Flickr’s new homepage, but it is worth considering the impact of the complexity and number of layers present and active at any given time. If regular scrolling triggers non-cached image resizes each time an asset is scrolled into view, there may be a cache eviction problem stemming from having too many layers active or present at once. * Work laptop: Mid-2012 15″ Retina MBP, 16 GB RAM, 2.6 Ghz Intel i7, NVIDIA GeForce GT 650M/1024 MB, OS X 10.8.3. Here are two videos showing performance of flickr.com/new/ with transforms disabled and enabled, respectively. Notice the huge spikes on the timeline with transforms disabled, indicating many frames that are taking up to 80 msec to draw; this is terrible for performance, “blowing the frame budget” of 16 ms, and lowers UI responsiveness significantly. Red paint rectangles indicate that the whole viewport is being repainted on scroll, a major contributor to performance overhead. With compositing borders, you see that every “strip” of the page – each parallax background, in effect – is rendered as a single layer. A quick check of the FPS meter and “continuous repaint” graphs does not look great. Side note: Continuous repaint is most useful when not scrolling. The feature causes repeated painting of the viewport, and displays an FPS graph with real-time performance numbers. You can go into the style editor while continuous repaint is on and flip things off, e.g., disabling box-shadow, border-radius or hiding expensive elements via display to see if the frame rate improves. With GPU acceleration, you see much-improved frame times, thus a higher framerate and a smoother, more-responsive UI. There is still the occasional spike when a new image scrolls into view, but there is much less jank overall than before. Paint rectangles are much less common thanks to the GPU-accelerated compositing, and layer borders now indicate that more individual elements are being promoted. The FPS meter and continuous repaint mode does have a few dips and spikes, but performance is notably improved. You may notice that I intentionally trigger video playback in this case, to see how it performs. The flashing red is the result of repainting as the video plays back – and in spite of overflow: hidden-based clipping we apply for the parallax effect on the video, it’s interesting to notice that the overflowed content, while not visible, is also being painted. A frame from a .webm and H.264-encoded video, shown in the mobile portion of Flickr’s redesigned home page. We wanted the signed-out Flickr homepage to highlight our mobile offerings, including an animation or video showing a subtly-rotating iPhone demoing the Flickr iOS app on a static background. Instead of an inline video box, it felt appropriate to have a full-width video following the pattern used for the parallax images. The implementation is nearly the same, and simply uses a <video> element instead of a CSS background. With video, the usual questions came up around performance and file size: Would a 2048-pixel-wide video be too heavy for older computers to play back? What if we cropped the video only to be as wide as needed to cover the area being animated (eg., 500 pixels), and used a static JPEG background to fill in the remainder of the space? As it turned out, encoding a 2048×700 video and positioning it like a background element – even including a slight parallax effect – was quite reasonable. Playback was flawless on modern laptops and desktops, and even a 2006-era 1.2 GHz Fujitsu laptop running WinXP was able to run the video at reasonable speed. Per rendering documentation from the Chrome team, <video> elements are automatically promoted to layers for the GPU where applicable and thus benefit from accelerated rendering. Due to the inline nature of the video, we excluded it from display on mobile devices, and show a static image to clients that don’t support HTML5 video. Perhaps the most interesting aspect of the video was file size. In our case, the WebM-encoded video (supported natively in Chrome, Firefox, and Opera) was clearly able to optimize for the low amount of motion within the wide frame, as eight seconds of 2048×700 video at 24 fps resulted in a .webm file of only 900 KB. Impressive! By comparison, the H.264-encoded equivalent ended up being about 3.8 MB, with a matching data rate of ~3.8 mbps. It’s worth mentioning that the Justified photos at the bottom of the page lazy-load in, and have been excluded from any additional display optimizations in this case. There is an initial spike with the render and subsequent loading of images, but things settle down pretty quickly. Blindly assigning translate-type transforms to the Justified photo container – a complex beast in and of itself – causes all sorts of rendering hell to break loose. Painting: Expensive. Repaints should be minimal, and limited to small areas. Reduce by carefully choosing layers. Compositing: Good! Fast when done by the GPU. Layers: The secret to speed, when done correctly. Apply sparingly. Hey, did you notice, on the brand-spanking-new Yahoo homepage, right there on the side of the page, it’s photos from your Flickr contacts (or maybe your groups)! No? Go check it out, I’ll wait. What you see above is the 10 most recent photos from my contact who most recently uploaded any photos. The homepage retrieves this data by making a call to a specially tailored method from the Flickr API. Easy, right? Sadly, no. 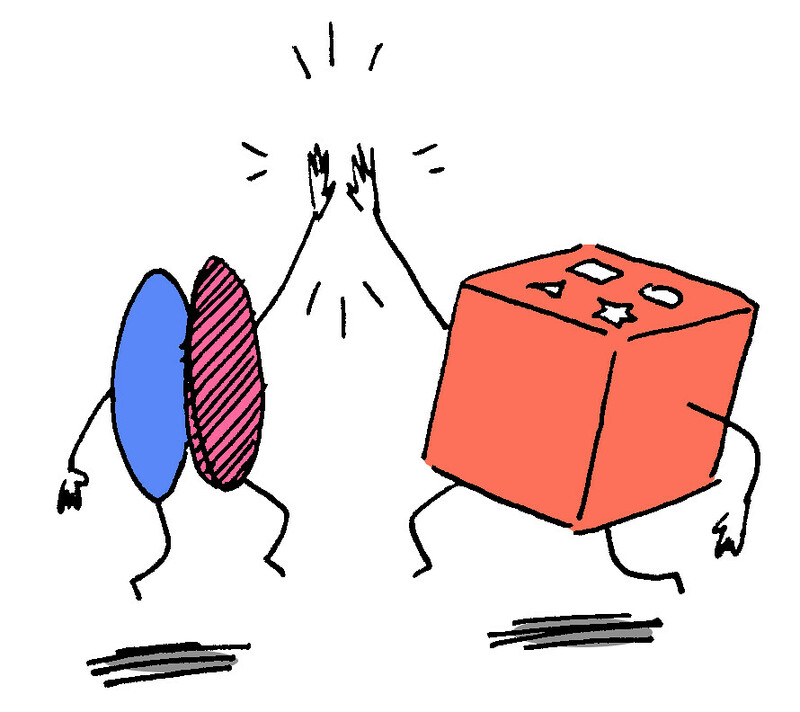 Due to the way our contact relationships are stored, the query we need to run is more complex than the above. Still, for the vast majority of Flickr users, the *actual* SQL query performed just fine, usually in less than 1ms. However, Flickr users come in all shapes and sizes. Some users have a few contacts, some have hundreds, and some… have tens of thousands. Unfortunately, the runtime for the query scaled proportionally to number of contacts the user has. I won’t delve into the specifics of the query or how we store contact relationships, but suffice it to say we investigated possible changes to both the query and to the indexes in MySQL, but neither was sufficient to give us the performance we needed across all possible use cases. With that in mind, we had to look elsewhere for optimizations. With a pure MySQL solution off the table, our first thoughts for optimization avenues turned to the obvious: denormalization. If we stored the 10 most recent photos from your most recently active contact ahead of time, then getting that list when the homepage was rendered would be trivial regardless of how many contacts you have. At Flickr we’re big fans of Redis, so our thoughts immediately turned to using it as a store for the denormalized contact data. Each one of these actions can impact what photos you should see on the Yahoo homepage, and therefore must update the denormalized data appropriately. Because the photo related actions can potentially impact thousands of users, if not tens or hundreds of thousands (everyone who calls the photo owner a contact would need to have their denormalized data updated on upload), they must be processed by our offline task system to ensure site performance is not adversely impacted. Unfortunately, this is where we ran into a snag. The nature of Flickr’s offline task system is such that the order of processing is not guaranteed. In most cases this is not a problem, however when it comes to maintaining an accurate list of denormalized data not being able to predict the outcome of running multiple tasks is problematic. Imagine the following scenario: you add a contact then quickly remove them. This results in two tasks being added, one to add and one to remove. If they’re processed in the order in which the actions were taken, everything is fine. However, if they’re processed out of order then when everything is said and done the denormalized data no longer accurately reflects your actual contact relationships. Maybe the next action that updates your data will correct this problem, or maybe it will introduce another problem. Over time, it’s likely that a not-insignificant number of users will have denormalized data that is out of sync with reality. Looking back at our original problem, the bottleneck was not in generating the list of photos for your most recently active contact, it was just in finding who your most recently active contact was (specifically if you have thousands or tens of thousands of contacts). What if, instead of fully denormalizing, we just maintain a list of your recently active contacts? That would allow us to optimize the slow query, much like a native MySQL index would; instead of needing to look through a list of 20,000 contacts to see which one has uploaded a photo recently, we only need to look at your most recent 5 or 10 (regardless of your total contacts count)! When a user uploads a new photo it’s once again a ZADD (though it’s a ZADD against the set for every user that calls the uploading user a contact). If the uploader is already in a given user’s set, this will simply update the score, if not then the uploader will be added to the set. Where $collection_size is the current number of members in the set and $max_size is the maximum number of members we want to store. Note that we’re removing from the head of the set. Redis stores data in sorted sets in ascending order, so the least recently active contacts are at the beginning of the set. Remember, this is all being done outside of the context of a page request, so there’s no harm in spending a little bit of extra time to ensure when the API is called we have a reliable index that we can use to optimize the DB query. Similar to how we cap the set by removing members from the beginning because those are the least recently active, when we want the most recently active we use ZREVRANGE to get members at the end of the set. You’re probably wondering, what about the other three events that generated tasks for the fully denormalized solution? How are we able to get by without them? Well, because we’ll just be using the list of contacts to optimize a live DB query, we can take some liberties with data purity in Redis. Because we store multiple recently active contacts, it doesn’t matter if, for example, the most recent contact in your Redis set has deleted his most recent photos or made them all private. When we query the DB, we further restrict the list based on your current relationship with a contact and photo-visibility, so any issues with Redis being out of sync sort themselves out automatically. Take the above scenario where a user adds and quickly removes a contact. If the remove is processed first and the contact remains in the user’s Redis set, when we go to query the live contacts DB, we’ll get no results for that relationship and move on to the next contact in the set—crisis averted. There is a slight problem with the reverse scenario wherein a user removes a contact and then adds them back. If the tasks are processed out of order, there’s a chance that the add may not end up being reflected in the Redis set. This is the only chance for corruption under this system (as opposed to the fully denormalized solution where many tasks could interact and corrupt one another), and it’s likely to be fixed the next time any of the other actions occur. Furthermore, the only downside of this corruption is a user seeing photos from their second most recently active contact; this is a condition we’re willing to live with given the overall gains provided by the solution as a whole. This is a key factor to be aware of when optimizing Redis performance. The overall speed of the system can be adversely impacted by RDB saves, therefore taking steps to minimize the time spent saving is critical. We’ve solved this problem by isolating these writes to their own Redis instance, thereby limiting the size of the dataset to only keys related to contacts activity. In the long term, as activity increases, it’s likely that we’ll need to further reduce the number of writes-per-instance by sharding this contact activity to a number of Redis instances. In some cases, multiple small Redis instances running on a single host can be preferable to one large Redis instance. As mentioned in the Redis Persistence guide, RDB saves can suffer with a slow CPU; if upgrading hardware (mostly faster CPUs to improve fork() performance), is possible, that’s certainly another option to investigate.